Your confidence in referring a patient to us is the greatest compliment we can receive. We value your trust in our practice and will provide your referrals with the same excellent service that you have come to expect. We thank you for the referral and hope that you continue to send future patients to our practice. If you are a Patient referring a friend or family member, please complete the basic referral form below. 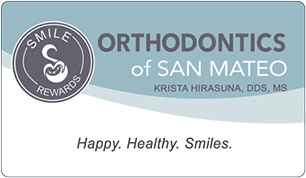 Learn More about Smile Rewards!